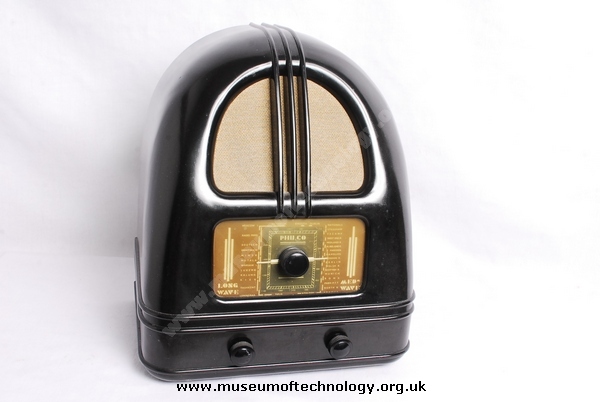 Made in 1936 and known as 'The Peoples Set' housed in a Bakelite cabinet, and is similar to the wooden cabinet version known as the model 269. They both have 4-valves including the rectifier and are powered by 200-250v AC mains. Model 269 also came as a console and radiogram version. Valves used in both sets are:- 6A7 - 78E - PENDD61 and 80. The model 444 in 1936 cost �6-6s-6d.